'Vidhaata' seemed to be quite popular among collectors a while back; it's one I personally find hard to get very exited about. There's a nice string-augmented Lata Mangeshkar track ('O Sathi Aa'), two disco stompers from Asha Bhosle ('Udi Baba' and 'Pyar Ka Imtihaan') of which I prefer the second, both on the cheesy side though... and not much else to bother with. I'm willing to bet that a lot of listeners will find the Suresh Wadkar songs worthwhile, they're just not really for me. An average Kalyanji Anandji effort then. I love this ! Thanks! A request:~ Got "Raja Jani" by any chance?? Wonderful soundtrack from Laxmikant Pyarelal. How do I convey my gratefulness for all your efforts? Thank you so much for your efforts. Love the old music. By jove you're right. How did that happen? Duly corrected (you'll all need to fix the mp3 tags yourselves though). ps. 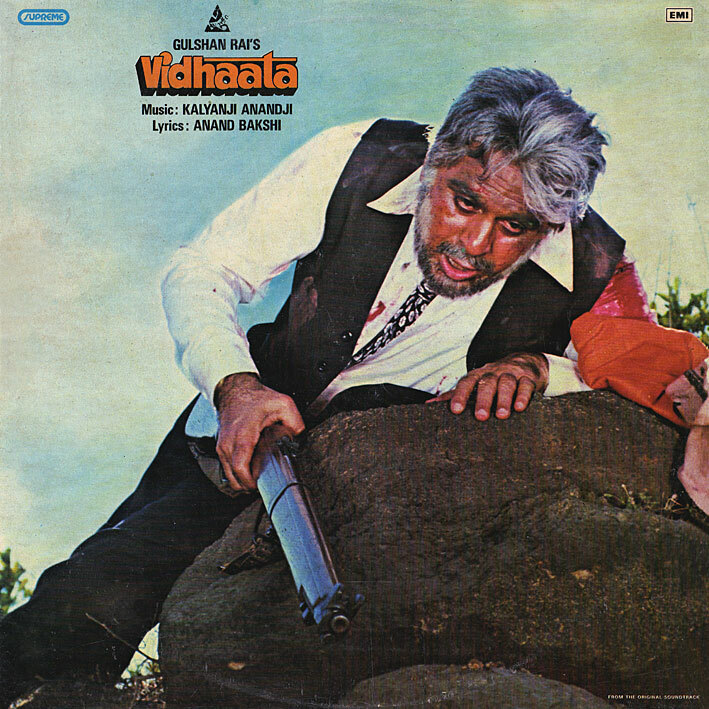 The album cover has him down as Wadkar, without the e.